Terrestrial cyanobacteria dwelling on rocks and stone walls represent an important but still understudied part of global biodiversity, despite their substantial importance to the environment. Microbial biofilms, including those formed by cyanobacteria, play an essential role in the succession on rock habitats as they possess a unique ability to gradually change the biotope. In this review, we have gathered 180 research publications reporting on occurrence of 762 species of terrestrial cyanobacteria on rock surfaces worldwide. Despite the long history of phycological research in general, Europe remains the most thoroughly explored region in the field of terrestrial phycology. A total of 401 taxa records from aerial epilithic habitats have been reported from this subcontinent. 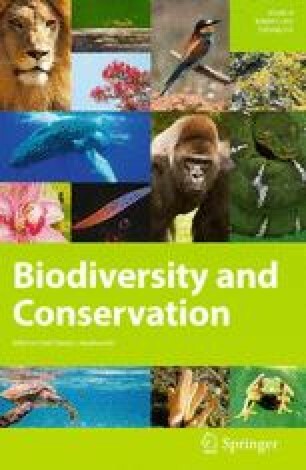 With regard to the lack of comparably comprehensive studies from different areas of the world, reliable comparisons of species richness among different geographical regions and climatic zones are not available at the moment. Heterocytous and coccoid cyanobacteria prevailed on the rocks and stones in terms of biomass, however, the species richness seemed to be distributed equally among coccoid (269 taxa), simple filamentous (275 taxa), and heterocytous (218 taxa) forms. As the heterogeneity of the available data shows, further thorough research on this often neglected group of organisms is desirable. To set a starting point for such an effort, this review summarizes the current state of knowledge on aerial epilithic cyanobacterial communities on both natural and anthropogenic stone surfaces around the world. The online version of this article (doi: 10.1007/s10531-015-0890-z) contains supplementary material, which is available to authorized users. This research was supported by a long-term research development Project No. RVO 67985939 of the Institute of Botany CAS, and by the Grant GA CR 15-11912S. Keith Edwards corrected the language. Authors are grateful to all reviewers for their valuable comments leading to improvement of the manuscript.